On a cold day in March 1796 Aristide Du Petit Thouars, a ci-devant French aristocrat and naval officer just returned from exile in America, visited the Panthéon in the heart of Paris. In his absence France had undergone the Revolution, but with the Terror over, the Bastille torn down and the five-man Directory in power, his homeland had become a somewhat ‘less obnoxious country’, to borrow an earlier comment of Pitt’s. A very harsh winter and inevitable food shortages were compounded by galloping inflation and the ongoing war with Britain. Yet despite public apathy, Paris had replaced Versailles as the magnet of cultural and social life under a regime synonymous with eccentric fashions and the pursuit of pleasure. Most importantly, the mid-1790s were the backdrop to Napoleon’s meteoric rise to power. The Frenchman was showing the sights of a capital transformed by the turbulent events of recent years to James Smith, an American merchant whom he had befriended during the stormy transatlantic crossing from America. To ward off their fleecing innkeeper in the seaport of Le Havre, he later wrote to his sister, ‘mon bon Américain Smith’ had insisted on lending him one louis, and so to settle this debt they had met up again in Paris. Smith privately despised aristocrats and unearned privilege, but couldn’t help liking this Frenchman who had known many adventures and reversals of fortune. The Panthéon itself, formerly the Church of Ste-Geneviève, embodied the dynamic clash between their two worlds. In 1791 it had been transformed into a republican, secular resting-place for the ashes of the great men of the era of French liberty. After viewing the cenotaphs of Voltaire and Rousseau, they climbed to the viewing terrace and enjoyed a spectacular panorama of Paris, which was covered in a foot of snow. Their paths would cross again in January 1797, in what seemed to the Frenchman the most unlikely place, the naval port of Brest. Du Petit Thouars, now a commodore, was astounded to bump into Smith now sporting the uniform of a French chef de brigade. He had just returned from the ill-fated Bantry Bay expedition because, he boldly stated, he was really an Irishman, and his mission was to free his country from the yoke of tyranny. His actions were treasonable, and if he were caught he would be hanged. The Frenchman was deeply moved by the episode. Readers will, of course, have recognised the pseudonym used by Theobald Wolfe Tone, whose mission to France remains one of the most daring in Irish history. Torn from loved ones, forced to lie low and to maintain a false identity, frustrated with endless hours to fill, and defensively reacting to the necessary linguistic and cultural assimilation into his country of asylum, he turned to his diary. It meanders between optimism and despair, the trivial and the grave, but is also peppered with astute observations on people he met and places he saw. This witty and moving chronicle of Tone’s experiences, along with his autobiography, has been widely read since its publication in 1826. 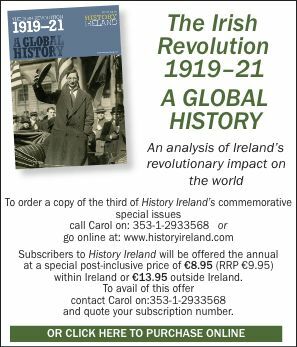 But the political impact of his writings and the iconic status to which he was posthumously elevated as the ‘father of Irish republicanism’ have overshadowed a rich and vibrant dimension to this written legacy. The eighteenth century had witnessed an unprecedented increase in human mobility and curiosity about other places, and Tone had been born into the golden age of travel writing. His mission to France, sojourn in Paris and military service in French-occupied Germany, Flanders and Holland from 1796 to 1798 unfolded against the backdrop of the war with Britain. Thus he was privileged to travel through parts of the Continent closed to the leisurely voyager, and, like many a diplomat and soldier, become an accidental tourist and a diarist-chronicler of history. Like many tourists, essentials like food and lodgings were prioritised, and Tone energetically countered rumours in the English press that France was starving her people. Before leaving Philadelphia he had exchanged £100 into louis d’or or gold coin, and this gave him greater purchasing power than the revolutionary but now inflated paper money, or assignats, and the opportunity to bail out a former aristocrat. Generally he found food cheap and plentiful, and his ‘superb crimson damask bed’ at the main hotel in Le Havre only amounted to the equivalent of tenpence a day. French complaints about the coarse brown bread (pain bis) were irritating, and so he enthusiastically devised a toast to his mission: Vive le pain bis et la liberté! For many travellers, getting one’s message across in a foreign language is one of the most problematic aspects of experiencing cultural difference. Betsy Sheridan had once noted that a brogue does not transfer into French, allowing the Irish to ‘blend in’, and so for Tone it was essential to speak the language to remain incognito (as he repeatedly noted). He must indeed have had a perceptible accent, as later in Paris the American ambassador’s secretary immediately detected that he was Irish when handing him back his (false) American passport. Thus a vital dimension to Tone’s legend begins within hours of his setting foot in France, namely that he claimed that he could not speak French. When he met Napoleon Bonaparte in December 1797, the Corsican had asked him about his competence in the language, and Tone had replied (and more or less lied) that he had only learned the little French he knew since his arrival in France. He resented being reliant on others to communicate, and melodramatically cast himself as the victim of a typical eighteenth-century narrative of misfortune. Was he not to be pitied, alone and unable to speak the language? It didn’t take long for him to be ripped off for his first bad meal, and he was furious that he couldn’t scold in French. Tone’s narrative of his journey from Le Havre to Paris reads more like classic travel literature. Thanks to the pace of the horse-drawn carriage, travellers could comment on the countryside, and so Tone admired upper Normandy and ‘the Seine winding beautifully thro’ the landscape’. He found the land well cultivated (but in 1797 would be far more impressed with Dutch agricultural practice), and passed several chateaux shut up or deserted. In a delicious irony, he mocked himself travelling in ‘a choice carriage lined with blue velvet’, like an English lord. He was, after all, the elder son of a Dublin coachmaker. The Fête des Victoires on the Champ de Mars, in honour of the recent French victories in Italy, 29 May 1796—according to Tone, ‘A superb spectacle … I was placed at the foot of the Altar in the middle of my brethren of the Corps Diplomatique [though he] chose to remain incognito’. Shortly after his arrival in Paris, Tone mocked himself as the Irish ‘minister plenipotentiary planning a revolution’, yet he undertook his mission with seriousness of purpose and dogged determination. The French authorities had been made aware of his imminent arrival, true identity and purpose in praiseworthy dispatches from their envoy in Philadelphia, and he was granted permission to stay. His official contacts were at the highest level but, in sharp contrast, the rest of his time was spent alone, as he had been advised to keep a very low profile. For a naturally gregarious man who thrived on convivial conversation the enforced isolation was at times intolerable. Born and raised in Dublin, he had spent two years in his early twenties (reluctantly) studying law in London, and so had already experienced urban life in an ‘idle and luxurious capital’, and despite bouts of loneliness and despair he appeared comfortable in Paris: ‘Walked about Paris diverting myself innocently . . . I wish I could once more see the green sod of Ireland! Yet Paris is delightful!’ (21 April 1796). Tone arrived at the Messageries Nationales (Paris’s ‘Busarus’) in the 2nd arrondissement and there his papers would have been checked. Foreigners had to carry their passports wherever they went, but it also meant that they could gain free admission to some of the sights in Paris. Before finding private lodgings, he stayed in the nearby Hôtel des Étrangers on the Rue Vivienne, one of the finest and most expensive in Paris. That part of the Right Bank was becoming increasingly fashionable, and he was only ‘within fifty yards’ of the notorious Palais-Royal gardens, now renamed the Maison-Égalité. Tone would have strolled under its arcades, lined with many shops, cafés and the increasingly popular restaurants, but would also have passed gambling dens and bawdy houses. He was aware that this former rendezvous of the beau monde had degenerated, discreetly switching into French in his diary to record that it was swarming with innumerable women of pleasure. Also plying their trade on the Rue Vivienne were money speculators, whom Tone appropriately described as agioteurs, the term specifically ‘coined’ for them. The numerous booksellers became a favourite haunt, however, and there he picked up a copy of the new French Constitution, as well as many military books, ‘dog cheap’. The Revolution had democratised eating out as we now know it (though mainly for the rising bourgeoisie), and Tone was lucky to be within walking distance of the finest restaurateurs of the capital. So impressed was he with his first meal in Paris (but adding that he was ashamed to say so much about eating) that he appended a translated bill of fare, which totalled ‘£0.4.71/2 ster[lin]g’. Two nights later he dined in the superb Méot’s, ‘in a room covered with gilding and looking glasses down to the floor’. It was the former home of the chancellor to the duc d’Orléans and much misery of the people had gone into ornamenting it, he commented, yet now anyone could dine there for the equivalent of 3s. Even in his wildest dreams he could not have imagined that he would be back at Méot’s in November 1797 with other United Irishmen hosting a celebratory dinner for General Desaix after his victory at Kehl. Many of his idle wanderings doubled as tourism, and with Du Petit Thouars he had spent an entire day exploring the revolutionised capital. Many place-names had been changed to reflect the new order: the Place Vendôme was renamed the Place des Piques, and what is today the Place des Vosges was the Place des Fédérés and an artillery store filled with cannon. They enjoyed the ‘vast collection of curious exotics’ at the new Museum of Natural History, and crossed the Seine to see the place where the Bastille once stood (now a timber yard) and the Temple where Louis XVI and Marie-Antoinette had been imprisoned. Its gloomy appearance made Tone melancholy. Every day he strolled down to the now public and fashionable Tuileries gardens, also the site of much turbulence but now the place to be seen, as the Directory had commissioned restoration and landscaping works. There Tone praised the appearance of French women but couldn’t make sense of the current fashion for wigs, which he found ludicrous. Not once did he comment on the diaphanous and perilously low-cut Grecian-style dresses for which the Directory period became famous. He preferred looking at soldiers and was especially drawn to the changing of the guards and the appearance of officers, as he had nurtured since boyhood an untameable desire to become a soldier. Tone enjoyed visiting the newly created Muséum Central des Arts, housed in the Louvre Palace, where admission was free. Opened on 10 August 1793, its galleries quickly filled with works seized from the church or fleeing émigrés, war trophies brought home by the Republic’s triumphant armies, and the royal collections transferred from Versailles. It should be noted, however, that Tone’s visits in the spring of 1796 pre-dated Napoleon’s massive plunder of Italian and Egyptian artworks. Housing the nation’s cultural heritage was problematic, and, as the former palace was undergoing major construction works in 1796, the museum was closed on his first visit. He was impressed, however, that he was allowed in after stating that he was a foreigner, as foreigners were encouraged to experience national improvements. Tone admired paintings by Guido Reni, Rembrandt, Raphael and Van Dyck. It is likely that some of the works he saw were part of the 1794 booty ‘appropriated’ for the French people by the armies of the North and Sambre et Meuse. Later, as a French officer stationed in Cologne, he made a casual but revealing comment after attending Easter Mass in the cathedral, acknowledging the practice of plunder: ‘I fancy they have concealed their plate and ornaments for fear of us, and they are much right in that’. He would not have seen the Mona Lisa in the Louvre, as it was only transferred from Versailles in 1797; in any case, it was then still an obscure work and not the merchandising icon of today. Tone did take a day trip out to Versailles, which, inter alia, prompted an indignant outburst on the monotony of French gardens. ‘The Magdalen of le Brun is, in my mind, worth the whole collection. I never saw anything in the way of painting which came near it. I am no artist, but it requires no previous instruction to be struck with the numberless beauties of this most enchanting piece. It is a production of consummate genius’ (6 March 1796). Tone claims to have returned a second time and to have spent close to an hour staring at it. The theatre (including opera and ballet) was a nightly refuge for Tone, whether in major cities or provincial towns in every country he visited. Tone contextualised the performing arts under the Directory as a state-subsidised propaganda exercise. In Le Havre he commented on the dénouement of a popular anti-religious play, Les rigueurs du cloître (1790). Its plot typically revolves around lovers separated by monastery walls, but the convent is stormed by the valiant National Guards, who not only set the young ladies free but requisition the property for the nation. On his second night in Paris he attended a ballet called L’offrande à la liberté, which perfectly illustrates how martial valour had permeated many aspects of French culture. It re-enacted the most important French republican festival, the Feast of the Federation, held on 14 July 1790 at the purpose-built grounds on the Champ de Mars. These bizarre and pompous ceremonies had been devised to instill a cult of faith in the fatherland as a replacement for religion. The ballet featured an altar of Liberty centre-stage, and female characters in beautiful Grecian habits who presented sabres to young men in regimentals. Tone was enthralled by the military evolutions and processions, and mused that, whatever ‘Mr Burke may think, the age of chivalry is not gone in France’. Theatre managers were compelled to play patriotic songs, and most shows concluded with the Marseillaise. Because Tone records the reaction of the audience, he must have been aware that the police were monitoring the public mood and issuing reports of the esprit publique in the press. But on 29 May he was to witness at first hand a genuine republican ceremony, as he had been invited to attend the Fête des Victoires on the Champ de Mars in honour of the recent French victories in Italy. Only ten days earlier the authorities had granted renewed permission to stay to this réfugié irlandais, and he had received a VIP invitation. At the splendid fête he was ‘placed at the foot of the altar in the middle of my brethren of the Corps Diplomatique’, though he ‘chose to remain incognito’. The Directory and ministers all attended in ceremonial costume, and 6,000 troops represented the armies of the Republic. The handsomest grenadier of each corps had a standard and a garland of oak presented to him by Carnot, the Director for War, and Tone was moved to tears at this spectacle ‘worthy of a great republic’. By summer Tone would no longer be a passive spectator at such displays of the citizen-soldier’s commitment to the nation, as on 17 July he received his long-awaited commission as a chef de brigade d’infanterie (with the rank of colonel). Apart from his strategic role as a sort of project manager for the Irish expeditions, and despite negative self-assessments of his French, Tone had become at this stage a functional bilingual. Like many lesser-known Irish officers throughout the centuries, he demonstrated his practical usefulness by translating documents and acting as a liaison interpreter. Tone’s papers, scattered in various French archives, demonstrate such a remarkably high standard of French that it is difficult to accept his own ‘evidence’ that he had never studied the language before 1796. Only recently has Du Petit Thouars’s personal testimonial of ‘James Smith’ been discovered, confirming how clandestine Tone’s mission truly had been. In his autobiography, Tone boasted that he and his sibling possessed an inexplicable ‘romantic spirit of adventure’, and his voyage de guerre allowed him to live it to the full. When thinking of the fate that awaited him, and his presence on that cold afternoon in the French Panthéon, it must be remembered that it is also the final resting-place of many a great writer. The recent publication of the final volume of the scholarly edition of Tone’s Writings, enriched with innumerable annotations and a long-awaited index, allows us to savour fully this unexplored cultural gem embedded in a canon of Irish national literature. Sylvie Kleinman currently holds an IRCHSS post-doctoral fellowship in Trinity College, Dublin. T. Bartlett (ed. ), Life, memoirs, journals and political writings compiled and arranged by William T. W. Tone (Dublin, 1998). M. Elliott, Wolfe Tone: prophet of Irish independence (New Haven and London, 1989). S. Kleinman, ‘Pardon my French: the linguistic trials and tribulations of Theobald Wolfe Tone’, in E. Maher and G. Neville (eds), France–Ireland,anatomy of a relationship: studies in history, literature and politics (Frankfurt am Main, 2004). T.W. Moody, R.B. McDowell and C.J. Woods (eds), The writings of Theobald Wolfe Tone. Vol. II: America, France and Bantry Bay, August 1795 to December 1796(Oxford, 2001). Vol. III: France, the Rhine, Lough Swilly and death of Tone, January 1797 to November 1798 (Oxford, 2007).